Karina McClain said she makes $7.25 per hour working at Checker's. Karina McClain, a cashier at fast food chain Checkers in New York City, didn't show up for her shift on Thursday. Instead, the 22-year-old joined about 100 other people outside of a Brooklyn Wendy's restaurant calling for an hourly wage increase to $15 an hour. She was holding a sign that read "Raise pay, live better." 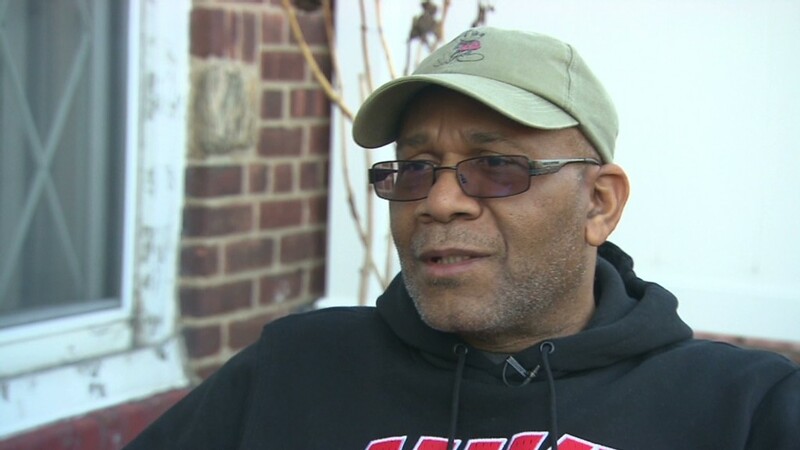 "I have bills to pay and we don't get enough money," said McClain, who makes the federal minimum wage of $7.25 an hour, and works 20 hours a week. Missing out on a day's pay would be hard for McClain, who can barely pay for diapers and clothes for her five-month old daughter Kamayah. McClain said union-backed groups, like Fast Food Forward and Fight for 15, were paying her about $50, or a day's wage, to be at the protest. "If they weren't paying me, I couldn't afford to be here," she said. The movement began with a small walkout by fast food workers in New York City in November 2012 and has since picked up steam. 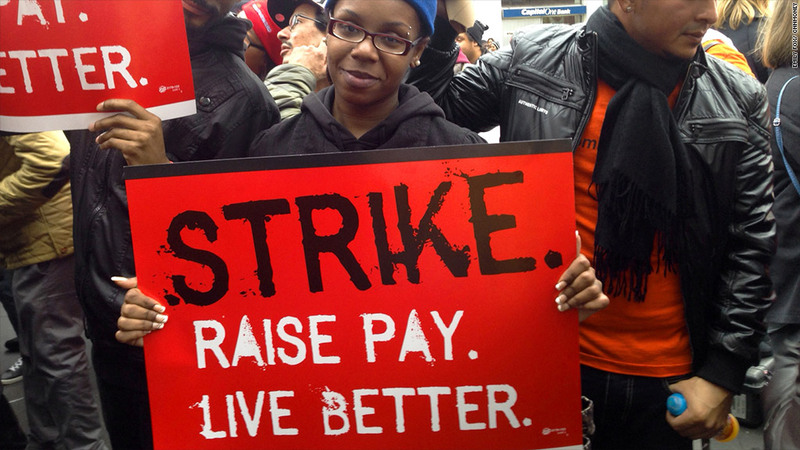 Strikes this past August drew fast food workers in 60 cities, organizers said. Jonathan Westin, executive director of New York Communities for Change, the group at the helm of the Fast Food Forward campaign, said workers who missed a shift in order to be at one of the protests would be compensated. The money comes out of a "strike fund" supported by labor unions, foundations and grassroots organizations. Unions have been setting up similar strike funds for years as a way to make up for missed wages, while they stand up to employers. The median pay for the fast food workers nationwide stands at just more than $9 an hour, or about $18,500 a year. That's roughly $4,500 lower than Census Bureau's poverty income threshold level of $23,000 for a family of four. That's why most workers can't afford to miss a day or work with no pay, Westin said. Checkers spokeswoman Kim Francis said is "a place of opportunity for our employees." She added employees are "paid competitive wages" and "many of our managers, directors, and even franchisees starting their careers as Checkers employees." McDonald's (MCD) and Wendy's (WEN) have told CNNMoney that they provide opportunities to learn and grow. The National Restaurant Association contends that the demonstrations are a "coordinated PR campaign engineered by national labor groups," and that "relatively few restaurant workers have participated" in past demonstrations. -- If you're a worker protesting for higher wages, we'd like to talk to you. Email us your story could be included in CNNMoney's coverage.